Under fire for its involvement with Cambridge Analytica and the illicit gathering of user data, Facebook is in damage control mode – though some would say the most important person is not talking. British data analytics company Cambridge Analytica had swallowed up data of more than 50 million US-based Facebook users and showed them misleading ads, fake news to shape their opinions in favor of the Republican Party in the successful presidential campaign of Donald Trump. Facebook had earlier tried to evade criticism by saying that it trusted Cambridge Analytica when it claimed to have destroyed the data it captured and was not aware of this data being misused. And now, Facebook’s VP of AR/VR tech Andrew ‘Boz’ Bosworth, who earlier held the portfolio for ads, has poured his opinions about the issue into a Facebook post. Bosworth has claimed that the company’s interests are “aligned with users“ and the security of their private data. Facebook has been blamed for intentionally overlooking the sabotage for financial interest but Boz defended in the post that the nature of the act “is the opposite of [Facebook’s] business model“. The VP also made claims about Facebook’s nature of its business and what permissions it gives to developers. The social media allows app developers to collect data from users who authorize this collection. It, however, requires assurance from developers that they would not exploit the collected data. Miscreants misuse this code of honor and collect data of users and their friends to use it outside the social media. He also mentioned that the company failed to assess how much data has actually been stolen by the personality quiz app used by Cambridge Analytica or any other app that sought permission to skim through data of a user’s friends. 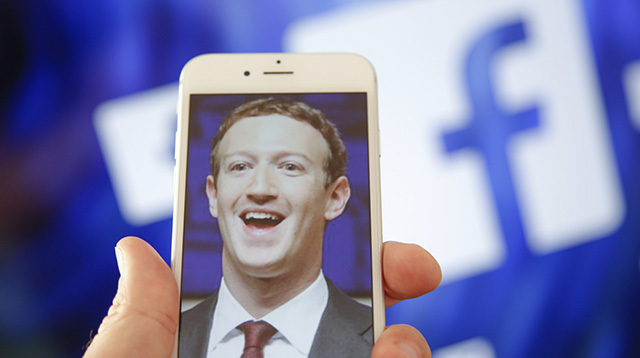 Facebook does not have a definitive answer to why it let such apps exploit users’ data to such an extent and how many apps, aside from the one engulfed in controversy, had similar privileges. Obeying the orders by UK’s Information Commissioner, the company has now engaged a forensic auditor to find physical evidence of Cambridge Analytica involvement in misleading political propaganda. At the same time, the analytics company has denied any allegations and said that it will continue to work with various electoral candidates or political parties across various countries including India.